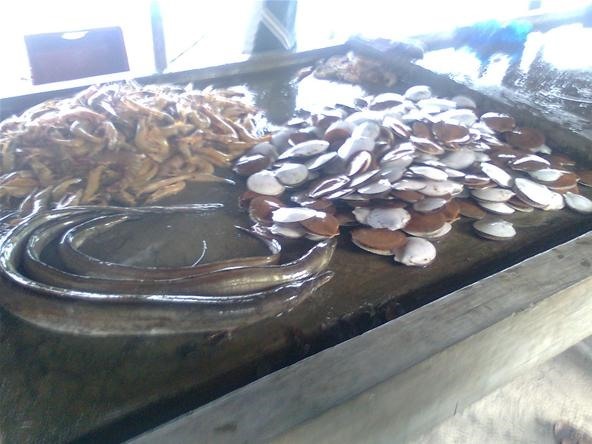 On the Picture: Shrimp, Scallops and, Eel. 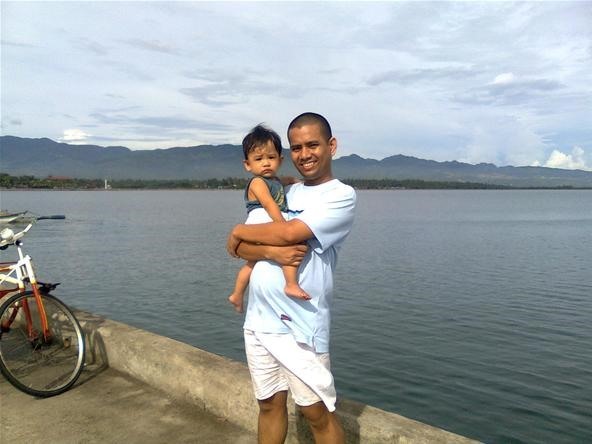 Also missed going fishing with my uncle at Biliran Island. Here in Metro Manila the only fresh fish I could buy is bangus (milkfish) or tilapia. It's kind of sad really. Picture slightly related: Me and my son at the Pier/dock in Carigara Bay.